Etnologickým ústavem AV ČR, v.v.i. ve čtvrtek 17. září 2015 od 16:30 hod. Zdeněk UHEREK,v.r., Martin HŘÍBEK, v.r., Alena MILTOVÁ,v.r. is the Principal Research Fellow at the Institute of Ethnic Studies, National University of Malaysia (UKM). He holds a PhD in sociology from Oxford Brookes University, UK. His areas of research include urban poverty, ethnic relations, human rights, social work and ASEAN studies. 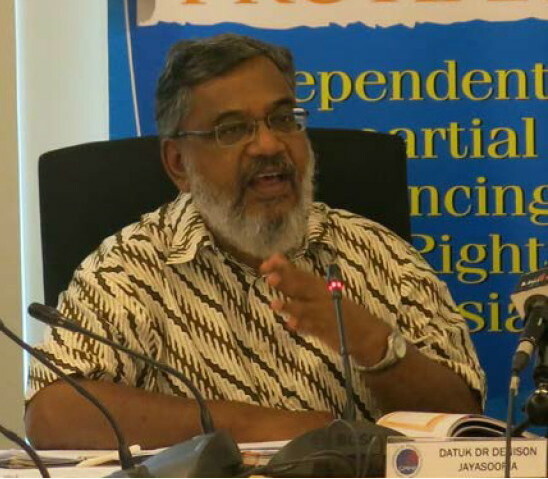 He was member of the Human Rights Commission of Malaysia (SUHAKAM) and a member of the Royal Commission of Inquiry on the Police (2004-2005). He has been active in public policy advocacy. 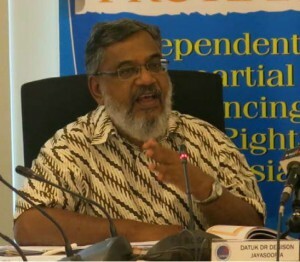 His key publications are Social Development & Indians in Malaysia, an Agenda for Social Inclusion (2008, YSS, KL), Politics and Service: the Experiences of Banting Jaya (2002, JJ Resources, KL) and Disabled People, Citizenship & Social Work, the Malaysian Experience (2000, Asean Academic Press, London), National Development Plans and Indians in Malaysia: A Need for Comprehensive Policies and Effective Deliveries (2011). He is a Malaysian of Sri Lankan Tamil decent (Jaffna Tamil) when his grandfather migrated to British Malay then in 1910. He is married to Datin Rose Cheng who is a Malaysian of Chinese decent (Foo Chow) as her grandfather and father also migrated to British Malaya. Malaysia is a multi-ethnic and multi-racial society which has seen tremendous socio-economic changes over the past almost 60 years since its independence from the British in 1957. It has an impressive track record of poverty reduction from 50% of house hold to less than 5% in 2007. However over the years income differences have widen between the top 20% and the bottom 30% and in addition the experience of the urban poor shows a deep sense of alienation and lack of access to public sector provisions (using a measurement which goes beyond income indicators). However sections of the Malaysian society still feel alienated from the formal economy and through self-help and civil society initiatives are making a difference in creating an alternative framework and market for socio-economic development. A significant section among these are displaced plantation workers in urban poor locations, forest based communities (whose livelihood is threatened by logging, hydro dam development and plantation industry), disabled people, rural poor especially fishing dependent families, refugees and migrant workers. Ethnic relations are undergoing development too. The General Elections of 2008 and 2013 can be seen as the emergence of a new vision for harmony and reconciliation from the earlier models of ethnic relations. Since then we see dominant ideologies of exclusive or dominant race, class or religion based identities linked to politics being challenged. There are also greater demands in Malaysian society for good governance, accountability and greater compliance to human rights international standards. These however pose political tensions as Malaysia continues to be one ASEAN society which is maximizing its multi-cultural identity in modern times.